Preheat oven 350F, with racks in upper and lower thirds. Whisk together flour, baking powder and salt. In a large bowl, using an electric mixer, beat butter, granulated sugar, 1 Tbsp orange zest, and 2 tsp lemon zest on medium high until pale and fluffy, 3 minutes. Scrape down the bowl as needed. Beat in eggs, one at a time. Add flour mixture; beat to combine. Roll dough into 1 inch balls and place 2 inches apart, on parchment lined baking sheets. Bake until the edges are lightly golden, 12 to 15 minutes, rotating the sheets halfway through. Let cool on sheets on wire racks 5 minutes, then transfer cookies to racks and let cool completely. Whisk together 1 Tbsp orange zest, 2 tsp lemon zest, citrus juices, and confectioners’ sugar until smooth. You may need to add more confectioners’ sugar to get it to the consistency you want. These look and sound fantastic! 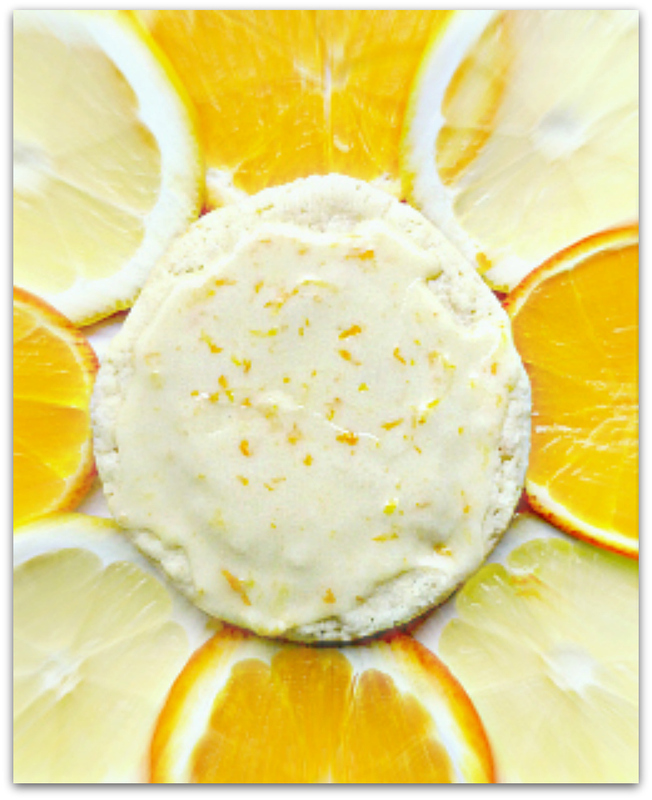 I love citrus-y flavors, especially in the spring! Thanks Eva! 😀 They taste so bright and refreshing. Perfect for summer and spring. Sometimes chocolate is too heavy to eat for this hot weather here in Texas, but citrus is perfect. Nice to come across something new in the way of a citrus cookie recipe. They do look pretty tasty-yum! How do these compare to the Lemonade cookies? To me, these are softer and chewier. They also taste much more of orange. The lemon seems to be there just cut the sweetness of the orange. So, I would say these are really orange cookies vs the lemonade cookies. Ha! Sounds like a great idea. Let me know how it turns out. I love the Flour cookbook! I’ve made the brownies, Oreos and chocolate cupcakes with magic crispy frosting. I haven’t made the chocolate chip cookies yet, but now I need to 😀 I have some brown bananas, so I’m thinking I might make her famous bread. OK this is the suggestion I needed: today I am going to make the Oreo dough for a Monday event. I have to plan out baking so that I can give it to somebody (like you do) but since we are retired this year we have no willing teenagers! Just read your post on your experience with the dough- thanks for the tips! I just made these too and plan to blog them soon! I love them so much I have been eating them every night for dessert. Great photo! Thanks so much Krissy! They are just so soft, bright and refreshing. I’ve never had cookies so orange in flavor. I loved them too. I am like you; I love citrus desserts but when I have to choose between chocolate and citrus, chocolate almost always wins. I do have a weakness for citrus; the smell, taste, I love it all. These cookies sound amazing; full of flavor and they are beautiful as well. Thanks for sharing and great job!